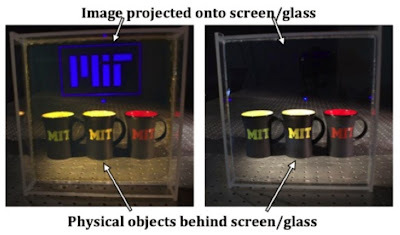 Researchers from MIT and Harvard departments of Physics, and the US Army Edgewood Chemical Biological Center have teamed up to develop a low cost, scalable, and high resolution display system using nanoparticles that can be displayed on transparent glass. 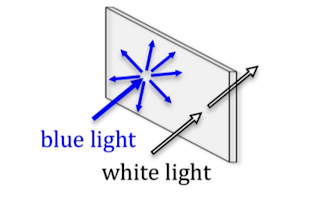 The system works by applying silver nanoparticles on a transparent glass screen. Like a filter, this allows other colors to pass through leaving the color used by the laser projector to show up on the display. The nanoparticles interact with a single color and lets others go through just like regular glass. Applications for this technology are varied from flexible and scrollable displays, 3D transparent screens, and even peel-and-stick projection foils. Windows of buildings can be used for advertising as it only entails applying the nanoparticle layer on it. The transparent display is scalable allowing high definition images to come up even on large displays. It is even inexpensive. The demo unit only cost less than ten dollars to develop.